Some prosthesis closure systems use what is known as vacuum technology. An active vacuum, which is generated for example by the electronic Harmony E2 pump, not only ensures high adhesion in the socket but regulates residual limb volume fluctuations at the same time. The latter describes changes to your residual limb circumference which can occur in the course of a day. The pump is very easy to use. You as the user select automatic or manual mode. 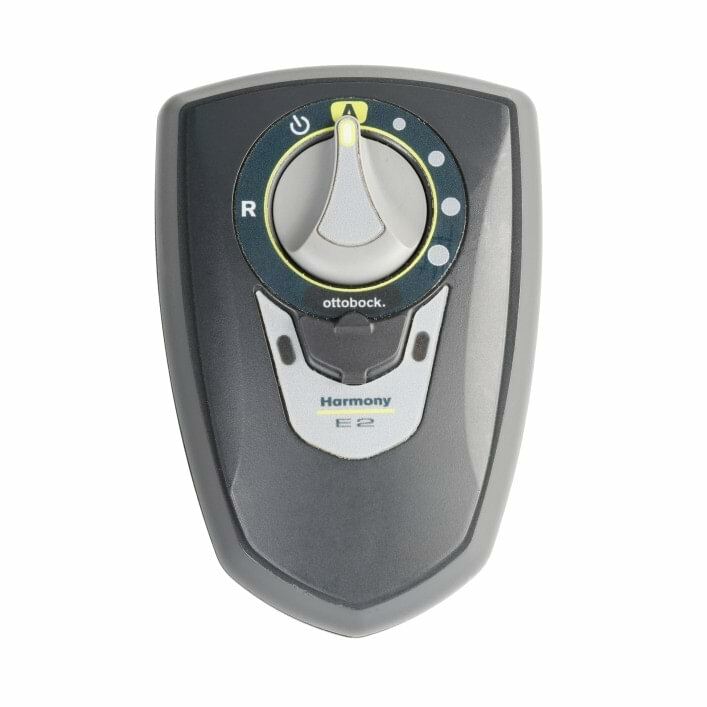 The Harmony E2 pump can be charged while continuing to use the prosthesis and is equipped with easy to replace, rechargeable AA batteries. It is waterproof to a dept of 3 metres. Your orthopaedic technician will be happy to provide you with further information.